Your Questions: Is It OK To DJ Off Of An External Hard Drive? Should external hard drives be used to store music for DJing? Or are they best relegated to being backup devices? 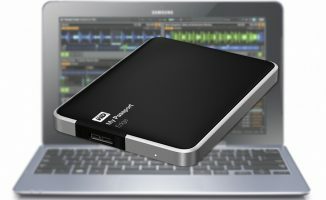 It’s possible to play tunes from an external hard drive, but it introduces a number of potential issues: First, external hard drives can be yanked in a crowded and cramped DJ booth, which of course means playback grinds to a halt (I should know, because this has happened to me a few times when I first started DJing with a laptop). It’s embarrassing, and the worst part is it takes a while for your DJ software to recognise the external drive again when you plug it back in. That’s dead air and additional stress you wouldn’t want to deal with at a gig. Second, since external hard drives are portable, they do get mishandled, either accidentally or when they get thrown around in your DJ bag. As a result, their reliability can be compromised over time. I have a 500GB external from 2014 that now refuses to work because its USB socket has got wobbly, and while it does power up, it’s no longer recognised by my MacBook Pro. Ouch – good thing I have a back up. 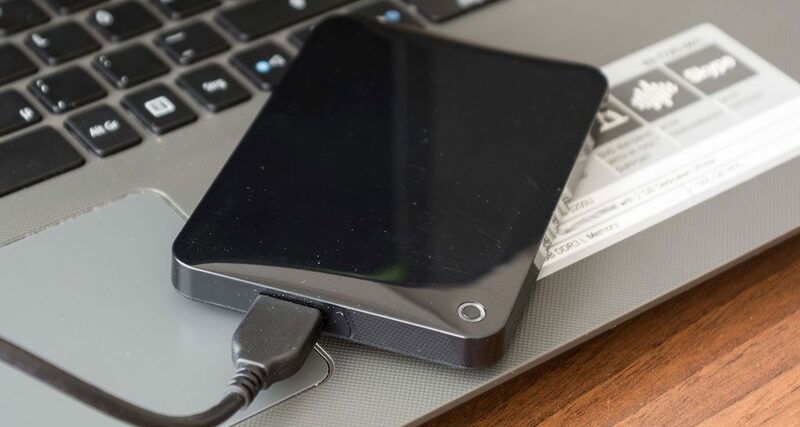 Third, external hard drives may have performance bottlenecks – older (or cheaper) hard drives have slower read / write speeds, and that sometimes results in slower track searches or analyses. Even newer USB 3.0 hard disks can suffer from slower track loading times – Joey uses Rekordbox DJ and he says there is a slight lag when loading a track from his external drive compared to loading from his internal drive. You may be wondering: if DJing with external drives is so risky, then why do club DJs spin with thumb drives on CDJs? DJing with a USB stick in a media player is a different thing – gear like the CDJ-2000NXS2 / XDJ-RX2 / Denon DJ SC5000 Prime are built and tuned with software onboard that are made to specifically perform a single task: to play music from media like thumb drives, SD cards and CDs, nothing more. That’s why they are “specialist” tools. With multi-tasking laptops that are used for a variety of different processes including Facebook, checking your mail, and clearing last week’s spreadsheet with your boss, it’s a different story, and that’s where things can potentially get a bit wonky. Also, some thumb drives are hardier than others – the Corsair Flash Survivor Stealth is an example of a sturdy USB stick that can take a beating, or at least certainly more of a beating than your standard external hard drive. The most foolproof solution is to have your DJ library on your laptop’s internal hard drive – this reduces the chances of your drive from failing due to poor treatment and handling, and it completely eliminates the “yanked USB drive” accident from ever happening. You also gain the benefit of the fastest possible read / write speed for your computer. An external hard drive is good for storing your entire music collection, though. Since you won’t be DJing with all of the music in this collection, we advise that you keep your DJ library and music collection separate. Let’s say you’re a techno DJ: your DJ library, which should only consist of music that you spin with (eg tech house, minimal, obscure German techno 12″ rips) should exist on your DJ laptop. Your music collection, which consists of all of your music regardless of whether you spin with them or not (that includes your trap / future bass tunes and your Engelbert Humperdinck discography) can then exist on an external hard drive that you keep in a safe place. This keeps your DJ laptop lean and reduces the chances of something going wrong if you were just reading data from your external drive. Your Questions: Internal Or External Hard Drive For DJing? 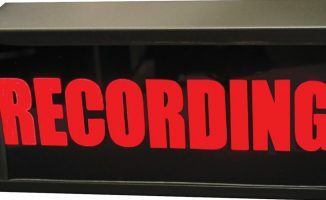 Your Questions: Best Way to Record A DJ Set? Another option if your laptop still has a CD drive – you can replace this with a hard drive. 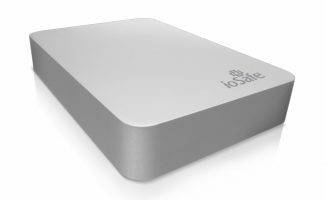 Fit a smaller SSD drive as your boot/software drive and have the larger, traditional, hard drive for general storage/music. You can get a caddy (there are loads on eBay) to hold the drive in the CD bay. If you ever do need the CD drive, you can get an external case for your CD drive to fit in and then just plug it into USB if and when you need it. First thing I did when I got my ASUS laptop was to buy an SSD. I did a bit of research before I did my purchase and purposely found something with 2x SATAIII and an mSATA. I run my main OS off the SSD and use the stock 1Tb 7200 rpm as a storage drive. I can always upgrade again with an mSATA if I need more space. Agreed! I did exactly as you mentioned above, about 6 months ago. I use Traktor and played of a recommended external 7200rpm HDD. I started having dropouts and it steadily got worse. I was sure it was a Traktor Issue. I opened up several trouble tickets, before I decided to install a second SSD to my laptop. I didn’t really use my internal optic drive, so swapping it out for an internal SSD made perfect sense. It was also fairly easy to install. Since then, I’ve had no issues whatsoever. Best upgrade decision I ever made. I would be interested to know more about your configuration when you were experiencing those dropouts. What kind of system, specs, what software was getting loaded at boot time, etc. I know that people report having these sorts of issues but I never have seen them. I think it would help everybody if we could collect enough data from enough DJs to figure out what the critical bits are that prevent systems from playing smoothly from external drives. As a techie who is learning this craft, I agree with this idea. Computers can be cantankerous, especially when you need them to do something. Everything from thermal noise to suddenly needing to run an update can mess them up. @Jack – I do this ALL the time with Traktor running a MacBook Pro. It works well. YMMV though. I am a mobile DJ and it isn’t like a crazy bar scene with people getting in the DJ booth and so on. It’s me, with my gear, on a table somewhat away from the main action on the dance floor. Two things I can add here. 2) I *ACTIVELY* prevent HD failures by replacing the external unit every two years. This has kept me out of the deep weeds since I started doing this. Heart failure induced by balky hard drives minutes before playing out is not a good way to start an evening! I honestly feel that more digital DJs need to learn A+ to truly understand the mechanics of their instrument of choice. 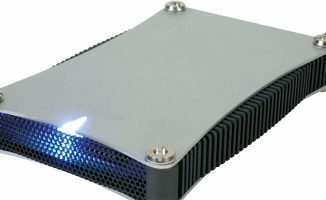 Knowledge of things like bus speeds and the difference between using platter based drives compared to SSD would help with a lot of peoples’ confusion. I agree! I’m coming into this (for now) hobby from the techie side of things- I make my living as a computer tech. And before I was into computers, I was an audiophile (still am!). Thanks, Sunfell! It sometimes seems I go out of my way to find a non-mainstream way to achieve audio reproduction… In 1999, I seemed like a maverick of the audio world, and AudioMaverick.com was available! Interesting. Getting a Thunderbolt drive cage would free up a USB port! Great, thanks for sharing Ben. For over 10 years, I’ve been DJ’ing private parties, nightclubs, bars, and strip clubs, playing off an external hard drive. Because of my open format, when DJ’ing out, I’ve had no choice but to use an external hard drive to store all my music and play off of. I’ve used PCDJ in the past, then Virtual DJ and Serato (my two mainstays) and have had absolutely no issues (or lag) playing off an external.